During my brief but very emotionally powerful trip to Dublin, I came across a little jewel of a shop that I wanted to describe here. We discovered this adorable little area called George's Street Arcade, where you can find various shops from turistic to eccentric I would say, One really caught my eye and appeared to stand out from all the others. Om Diva is definitely the best asset of George's Street Arcade, it sells mainly clothes but also extraordinary shoes and accessories. 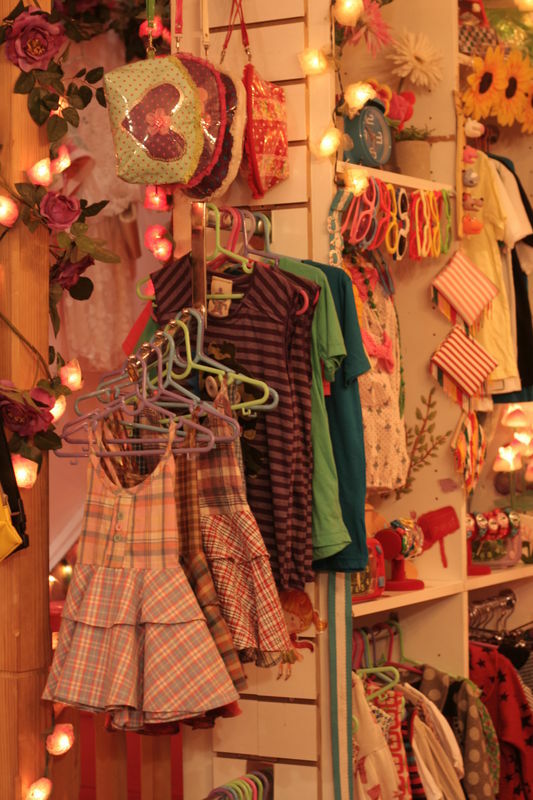 The shop certainly knows how to attract young « divas » (just like me and my friend here), every girl can find something interesting in there to show that diva that is in all of us, they even have clothes for kids. 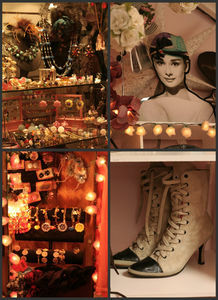 The first floor reminded me a bit of an attic (and what a cool attic) packed with vintage dresses and shoes to die for. What I love here is that the clothes have a soul and it's definitely not something you'll find on high street stores. 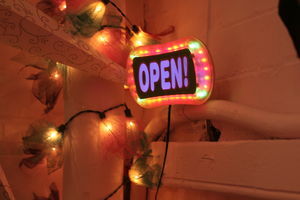 Same with accessories and jewelry, one finds indian style shoes, huge funky and stylish bows for hair, delicate scarves. I loved the indian thai side of it as well, being very spiritual at the moment, i appreciated a selection of incense for instance. The prices might seem a bit expensive, but I think the quality is there and they're really worth it. Prices go for 25€ to 75€ as I have seen, as far as the dresses are concerned. You can definitely buy a vintage dress at an affordable price. Staff is absolutely lovely as well, had a charming welcome and that's all part of the wonder of the shop I think. Add to that absolutely stunning hangers (I wanted to get some for myself :p) and vintage stylish furniture as well, you've got a fairly good idea of what I like in a shop. A Must see if you visit Dublin!!!!! So move your bottoms Londoners!!!! sorry aobut the pricing in £, I corrected it, it is now in Euros. bien s¨r que je t'emmenerai!!! pourquoi pas se faire un weekend à Dublin ensemble même, partons, rêvons, osons!! !